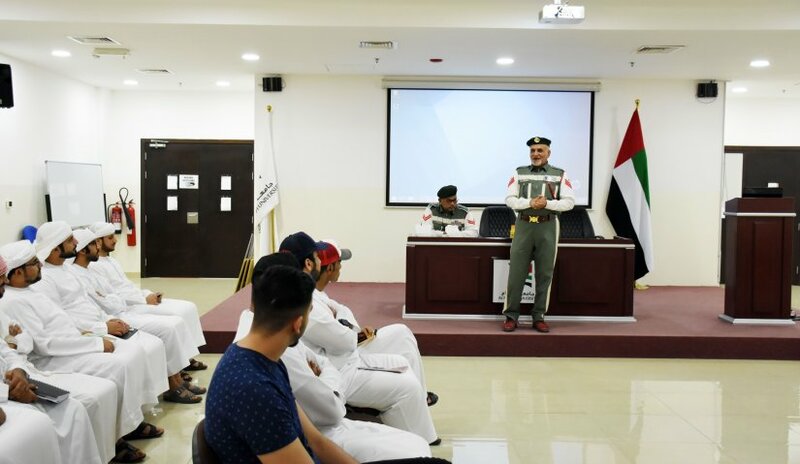 In cooperation with the General Directorate of Traffic in Dubai Police, the Deanship of Student Affairs at Al Falah University organized a lecture to raise awareness regarding traffic and road safety. Sergeant Ghulam Ali Ahmed from the General Directorate of Traffic and Col. Omar Salem Aflaton gave the lecture and discussed traffic awareness with students and clarified the severity of non-compliance with traffic laws. The activity aims to seek cooperation with the General Directorate of Traffic in Dubai Police for the exchange of ideas and expertise regarding traffic awareness within the education sector.